Midfielder Mehdi Abeid has left Newcastle to join Panathinaikos for an undisclosed fee. The 23-year-old, who had a successful loan spell at the Greek club during the 2013-14 season, signed for the Magpies in 2011 and made 21 appearances. 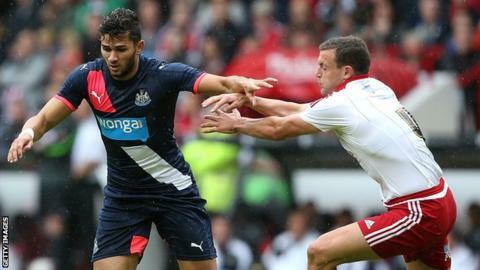 The Algeria international finally made his Premier League debut in November 2014, when he helped Newcastle to a 1-0 win over Liverpool. He made a further 12 league appearances last season.